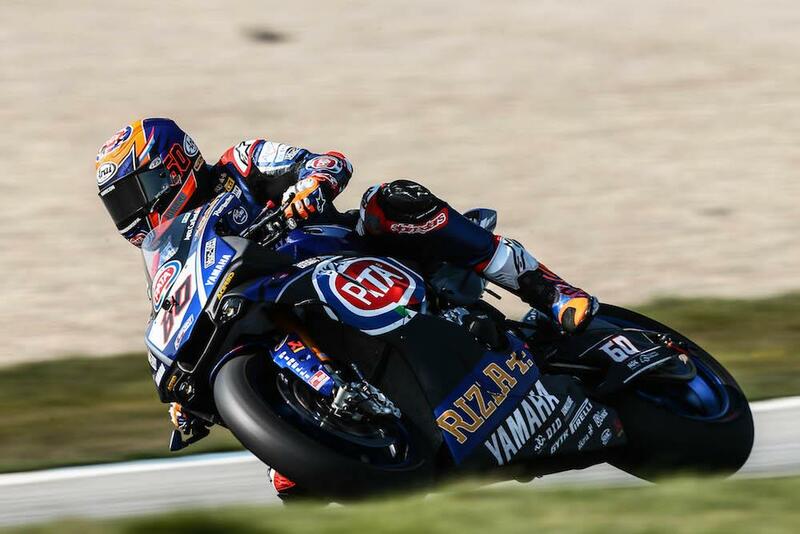 Home hero Michael van der Mark led the way as the opening day of World Superbike action got underway at the iconic TT circuit Assen. After Aragon, every manufacturer apart from Ducati were permitted an engine upgrade, although it is not thought any team has yet taken this option up. Organisers also confirmed there would be no changes to rev limits after the first three rounds. The PATA Yamaha star led Ducati’s Marco Melandri by 0.243 seconds after the day’s three practice sessions. It was another Ducati in third place but in the unfamiliar guise of European Superstock champion Michael Ruben Rinaldi, who is racing the European rounds of the 2018 season with the Aruba team. Series leader Jonathan Rea was fourth quickest after failing to improve his time in the third and final session ahead of the second PATA Yamaha of Alex Lowes. Tom Sykes was sixth, another rider not to improve his time in FP3 ahead of Xavi Fores and Chaz Davies. Lorenzo Savadori crossed the line ninth with the MV Agusta of Jordi Torres tenth on the opening day of action. 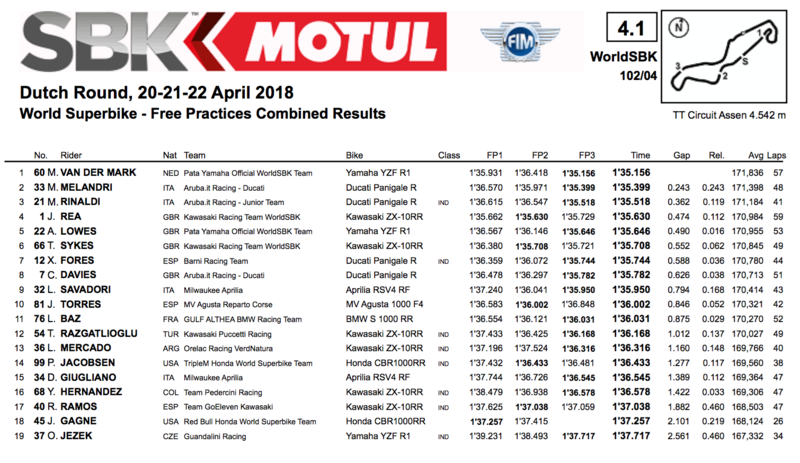 Narrowly missing the SP2 cut off point was Althea BMW’s Loris Baz, who will have to fight it out in SP1 with the likes of Toprak Razgatlioglu and Leandro Mercado for a chance to fight for pole tomorrow. The day didn’t get off to the best of starts for the Red Bull Honda team with Jake Gagne catapulting himself to the moon after clipping the grass on the Red Bull Honda. He sat out of the afternoon’s third three practice.